Note: The red line is either for those with 82 thieving and can thus enter the entrance found below. 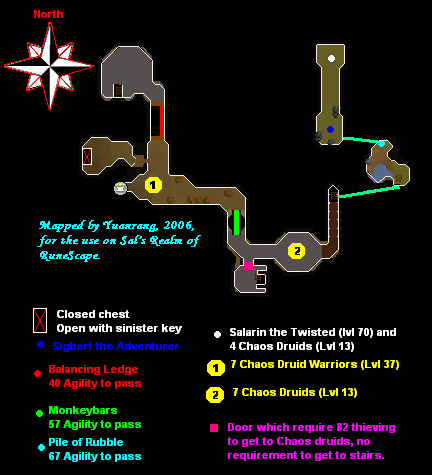 If you don't possess 82 Thieving, this is the way you will exit the dungeon from if you can get to area 2 on the map below. For every fire strike that connects, Salarin will be dealt 120 damage at all times unless he has fewer Life Points than that. This means that you only need to hit him around 6 times since he has a total of 700 Life Points, so stand on the red square or behind it since he can't reach those areas. 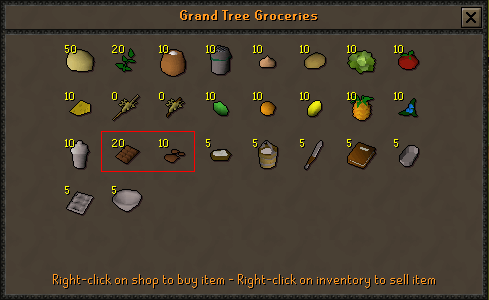 This means that getting those keys to open the chest is one of the best ways to get high leveled herbs fast, which again makes it faster to train the skill. Guam 300-600gp This is a herb that varies greatly in price and according to bulk. Marrentil 300-400gp A herb which usually are stable due to its hardship of making potions with. Tarromin 700-1,000gp This herb varies in price since it is useful to train herblore with. 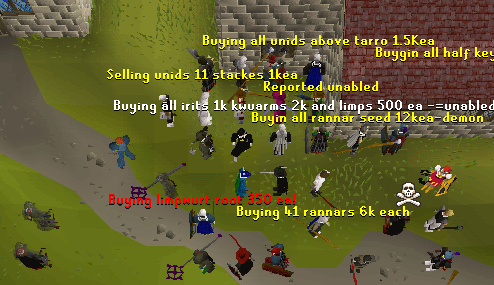 Harralander 750-1,200gp People often want to press price up, try and get good bargains here due to large range. Ranarr Weed 6,000-7,000gp The herb which is in greatest demand and is the best way to level herblore due to its use for Prayer Potions. Toadflax 2,000-3,000gp A herb rather rarely sold in general, though often sold in large bulks when found. Irit Leaf 1,000-2,200gp Decent for training and rather cheap for giving good experience, also sold in bulks often. Avantoe 2,000-2,250gp A herb neglected due to it being bad to make good potions with. Great exp for herblore though. Kwuarm 4,000-5,000gp Another highly sought herb, and its potions sell pretty well. Might be hard to get a bargain. Snapdragon 6,000-8,000gp Rarely sold unless in large bulks due to it being generally acquired through farming. Cadantine 2,500-3,500gp Another herb which is hard to sell, and again gives good exp. Hard to sell its potion. Lantadyme 3,000-4,500gp A sought herb, though rather rare on the markets. Dwarf Weed 2,000-4,000gp A herb as rare sold as it is found. Prices varies after this, so be aware. Torstol 8,000-10,000gp The rarest herb kind, do not expect this to be commonly sold, and it is extremely expensive. These horns are acquired through either killing regular Unicorns or the slightly stronger Black Unicorns. There are three Unicorns located just north of Sinclair Mansion, across the river near the Log Balance. there are also two Black Unicorns found east of Rellekka (not to be cofused with Black Unicorn Foals which drop charms for Summoning but no horns). 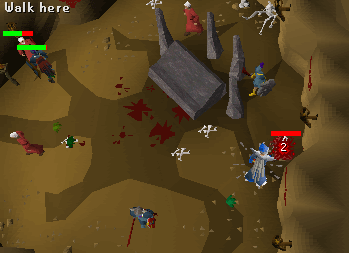 The fastest, though also the most dangerous place to kill them, would have to be in the level 20 wilderness just north of the Chaos temple found in the wilderness at the border of Varrock, and there you can kill level 27 Black Unicorns. Follow the map below to get there quickly, then kill enough unicorns to get a full inventory. 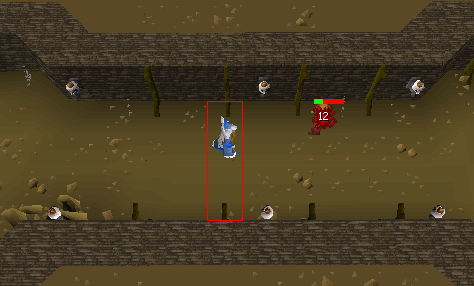 Teleport out using a Glory Amulet (to Edgeville), or Varrock Teleport runes, and repeat the process. Tip: If you have a Ring of Charos (a), you can charm the Fossegrimen to accept Bass instead of Sharks. Inventory consists of a Blessed Silver Sickle, 1 house teleport (tablet or any suitable combination of runes, just make sure when cast all inventory spots become empty). Teleport to your house, pray at your altar to make sure you have full prayer points. Teleport to Canifis and run to the entrance of Mort Myre Swamps. Enter and run to the south of the second puddle. There are 3 logs there that can be influenced by the Cast Bloom option and grow the fungi. Stand on the square south of the north log. Cast Bloom and pick the fungi, leave the branches as you are after the mushrooms. Repeat this until you have a full inventory. At the last Cast Bloom wield your Sickle and pick the last one. 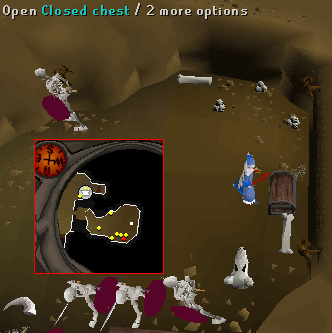 Use either Amulet of Glory or Ring of Duelling to bank your treasure. Take out one house teleport and repeat the process. Note: Do not forget to pray at your altar! The advantage by buying from a store is that they are a lot cheaper since vials tend to be incredibly overpriced when buying from other players. Since shop stocks are unlimited, this is likely the best way to obtain vials. The last option involve acquiring them yourself through slaying foes, though more on that later. This is probably the fastest way to get large amounts quick, though this is a way that really should be for the more richer players out there. Water-filled vials tend to be sold for quite high amounts, so beware of that if choosing to go with this way. 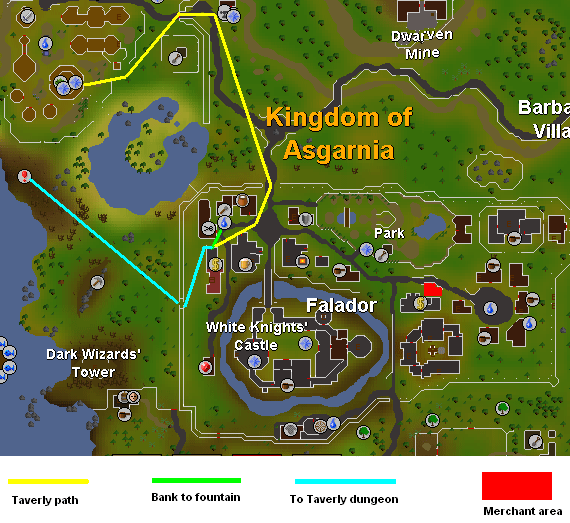 This method is mostly about you positioning yourself in the herblore area of World 2 Falador and try to get the best bargains as possible (the official RS forums is also a good place for those who want to buy). The vials cost 12gp each and have an unlimited stock. 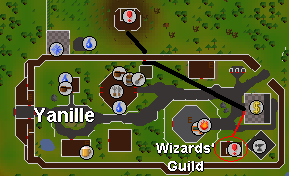 One of the most common places to buy vials is in Taverley, in the Herblore shop. 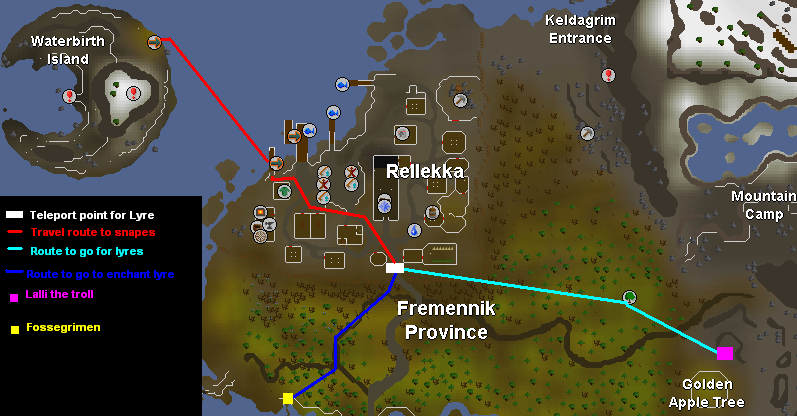 The quickest way to buy vials in bulk is to teleport to Falador, run according to the yellow line on the map at the beginning of this guide, and then enter the Herblore Shop. 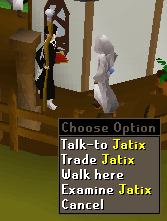 Here you should buy the vials needed of Jatix, teleport to Falador, run to bank and store those vials and prepare to repeat this by going after the yellow line once more. 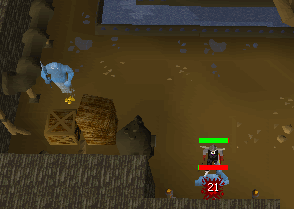 There is one extremely good way to collect Water-filled vials in an easy way through slaying foes in the game, and that is by killing Water Elementals. When you kill one of them, the Water Elementals always have a 100% drop rate of Water-filled vials, and they are fairly weak with their low combat level of 34 and 300 Life Points. Look at The Quest Experience Guide for more information on what quests to do and links to the very same quests. Also, if you happen to do the One Small Favour Quest, you might choose Herblore for a reward for both lamps to get an additional 20,000 experience in the skill. 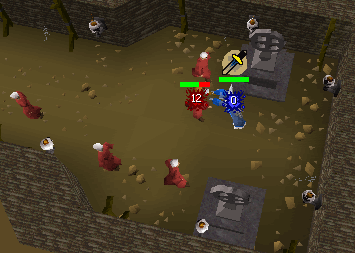 When it comes to demand, you should choose Prayer Potion and nothing else. Defence Potions are lower in demand and doesn't sell half as good as Prayer Potions. Prayer Potions give 87.5 experience against the Defence Potion's 75, which is another plus for Prayer Potions. 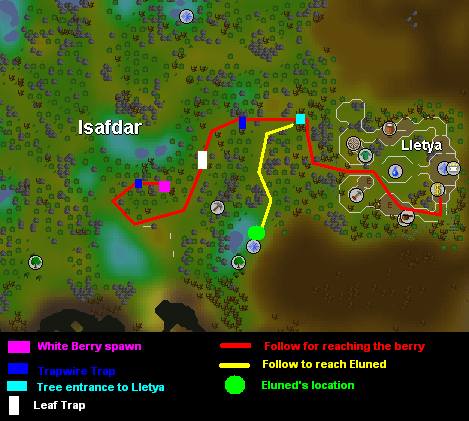 White Berries might be hard to get, and it is not worth spending them on making mere Defence Potions. Snape Grass however is quite easy to get if you have studied this guide's example. When looking on the above facts, I would say that you never ever should make Defence Potions, only when you need them for combat use. 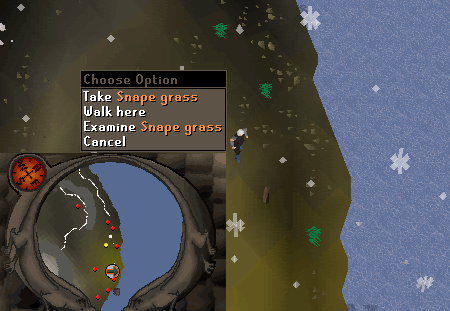 Steer far away from it when training to reach 38 Herblore as it is not worth it and you will benefit greatly of it later when saving the Ranarr Weeds for Prayer Potions. This stretch might be a long one since you have to continue by making the same potions yet again, though you should try and make Energy Potions instead of Stat Restore potions. On your way to 38, you'll get access to making to some new potion types: Defence Potions at level 30 and Agility Potions at level 34. However, it is not recommended to use Ranarr Weed in Defence potions since they are very useful to have when you reach level 38. Now that you have access to making Super Defence Potions with your Cadantines, feel free to make as many as you can since that is the only potion you can make out of a Cadantine. You might as well waste all of your Lantadymes to make Anti-Firebreath potions when getting 69 Herblore, since there is no need to save them. They can only otherwise be used in Magic Potions, and that would be far from your current level so you shouldn't desperately cling on to them. Extreme Attack and Extreme Strength potions are a faster training method than Recover Special Potions, and are generally a more useful potion to make for their Attack or Strength boosts. Players earn 220 experience per Extreme Attack Potion, and 230 experience per Extreme Strength Potion.